Looks like someone gots the blues....missing his J.Crew​. Happy October and Thoughtless Thursday! This made me lol this morning. I have been looking for a hat and that one looks perfect!! You're lookin' sharp in that hat! Aw, sorry you have the blues, Ruckus. Perhaps the blog hop with your friends will help cheer you up. So cute. You're a real gentleman. Ruckus, the season for straw hats is ending. But you look cute in it. 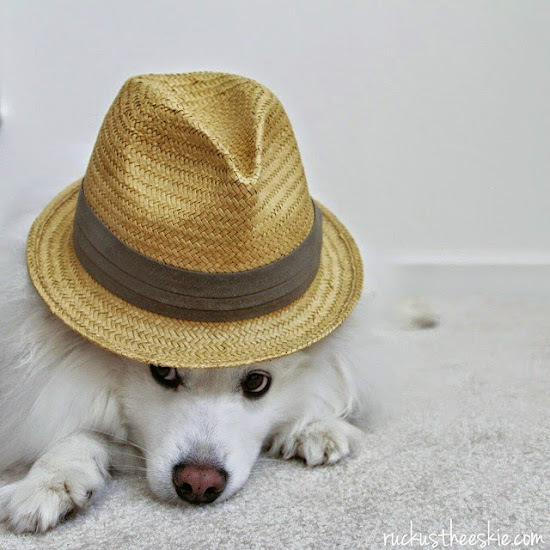 But you sure look cute in that hat though!